Whilst we have superb facilities at the Bath University Sports Training Village, the court space available imposes a restriction on membership numbers and as a result all members go through a selection process. squad selections will take place on Tuesday 21st and Tuesday 28th August - Bath Uni STV - 7pm to 9pm. Summer pre-season training is organised from July through August and is used to prepare for the season ahead and as an indicator for which trials sessions players are invited to attend. 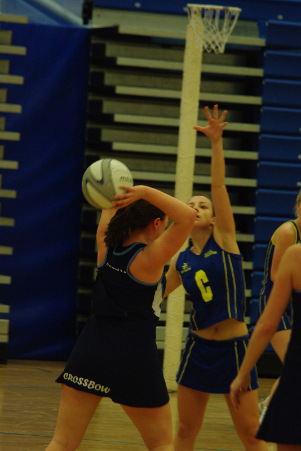 They are held on Wednesdays at Royal High School, Lansdown, Bath - 7pm to 9pm. Sessions operate on a 'pay and play' basis - £4 per week. Junior team selection for U14 and U16 will take place during the first two weeks of September each year. U16: Tuesday 4th and Tuesday 11th September at Bath Uni STV - 6pm to 8pm. Squads will be selected on ability within the nominated positions, rather than age or friendship groups. This may result in our more ‘talented’ girls being given the opportunity to play at a higher level in order to extend them further. 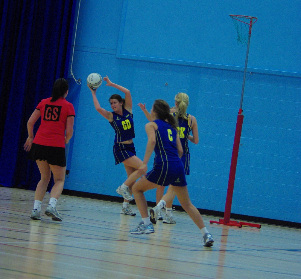 Please be aware that some players will not be selected for as high a team as they play for at school - this is due to the fact they are competing against girls from all schools in Bath and the surrounding area. We understand that some may be disappointed with their squad selection but coaches work hard to ensure that girls receive the correct level of instruction and we would ask that parents and girls respect these decisions. However, girls are monitored throughout the year to ensure they are playing at the right level and this may result in some movement between squads – up or down. If girls are sincere about netball they should be encouraged to take their commitment seriously - the results will speak for themselves. Squads will normally operate with a maximum of 11/12 players each (depending on the coach) with the exception of the C/D squads which may be slightly larger. If you've missed the formal selection evenings but are still keen to play please contact us at enquiries@tbnetballclub.co.uk. If we are unable to accommodate you we can help put you in touch with other clubs in the area.